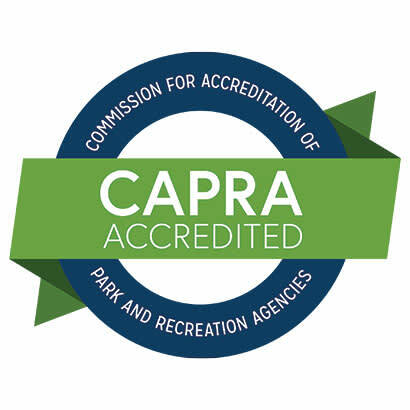 What Does It Mean to Be CAPRA Accredited? CAPRA accreditation is a great way to catch the attention of your elected officials and demonstrate the value of your department. “The elected officials are very happy that we are accredited,” says Kira Peters with the city of Scottsdale, Arizona (accredited since 1994), “because if you were the mayor or council person, what better way to show off your community than by mentioning the park system is accredited.” CAPRA-accredited agencies are provided a comprehensive marketing toolkit to promote their accomplishment to the community and elected officials. Once you decide to become CAPRA accredited, your agency becomes part of the CAPRA community — an active group of professionals from high-performing agencies nationwide. During the initial application process, and while maintaining accreditation, this network can provide guidance, support and advice. All first-time and renewing agencies are matched up with a mentor agency to help provide direct assistance in preparing self-assessment reports, hosting site visits and all aspects of the accreditation process. Jennifer Schleining is NRPA’s Accreditation Manager.